Is lip prints on my coffee mug. 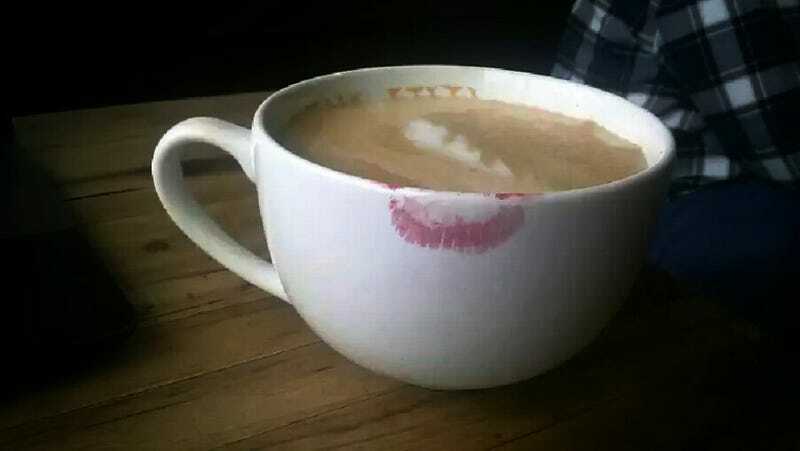 Seriously, it makes me inanely happy to have a red lip print on my coffee mug. Oh, and my phone apparently has a built in photo editor, so that is a cool thing I will never use regularly. What's good about your day, GT?